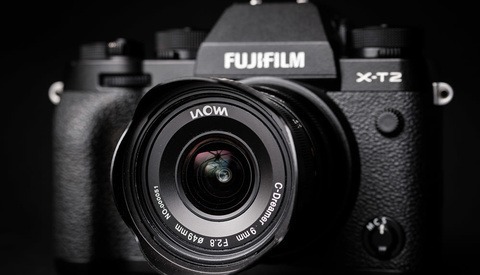 In the world of mirrorless cameras, Fujifilm is among the elite. Their cameras have that vintage look and feel along with the performance that shooters require in a professional realm. 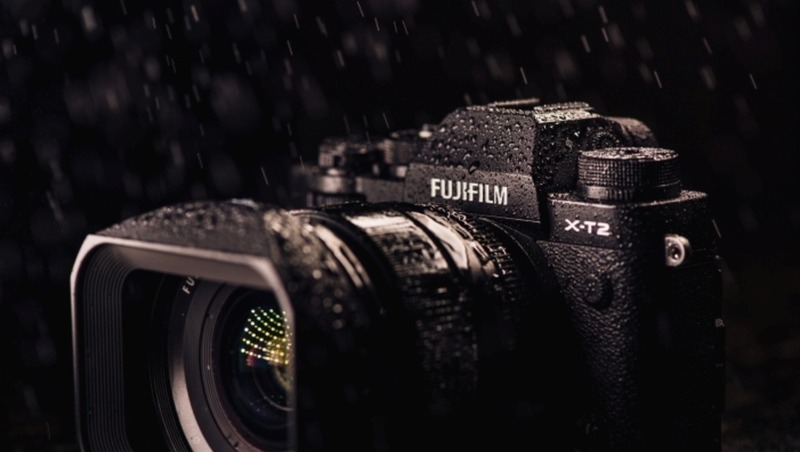 So, when they announced the new Fujifilm X-T2, a lot of people took notice. It has the latest in sensor and processing tech and boasts a new autofocus system that claims to keep up with high-end DSLR cameras. But just how well does it perform in the real world? The X-T2 has a DSLR-style build as opposed to the rangefinder build you’ll see on its brother, the X-Pro2. What this means is that the viewfinder is placed in the center of the camera like you would see on most DSLRs. This viewfinder is also strictly an EVF (electronic view finder) and is the best EVF I have used to date. It is super large and has a very fast refresh rate, which means as you are are panning around a scene, you don't have to wait for the viewfinder to catch up to your movements like you had in the past. 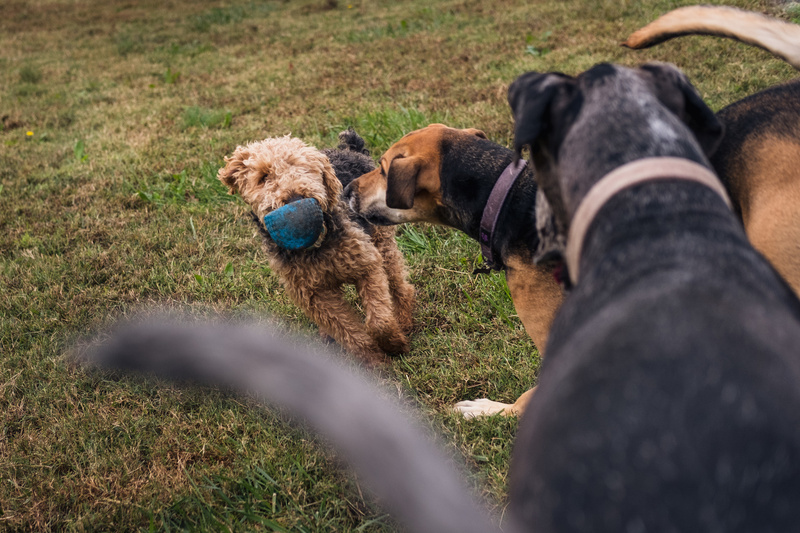 One of the benefits of using an EVF is that you have full-time live view, meaning you can always see the exact image you are going to capture before you press the shutter. Because of this design, it also means the autofocus system is built into the sensor instead of relying on a separate autofocus module. 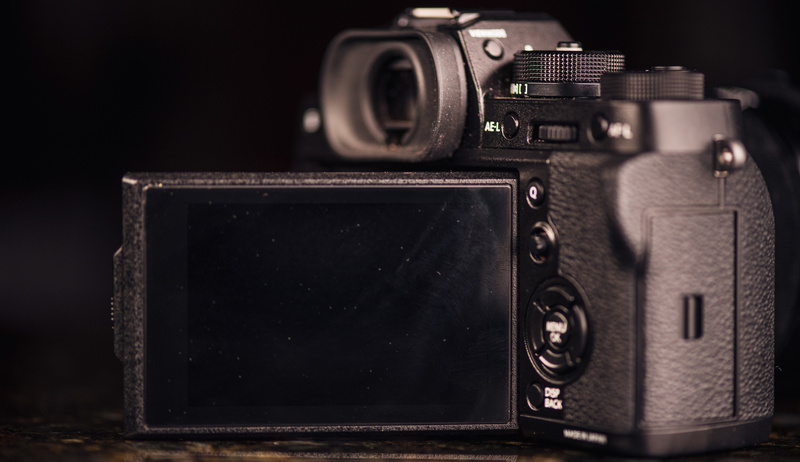 What this means is that switching from the EVF to the LCD screen will result in zero change in performance or features. This really comes into play when using the built-in tilting screen which not only tilts up and down, but also can fold out to the right. 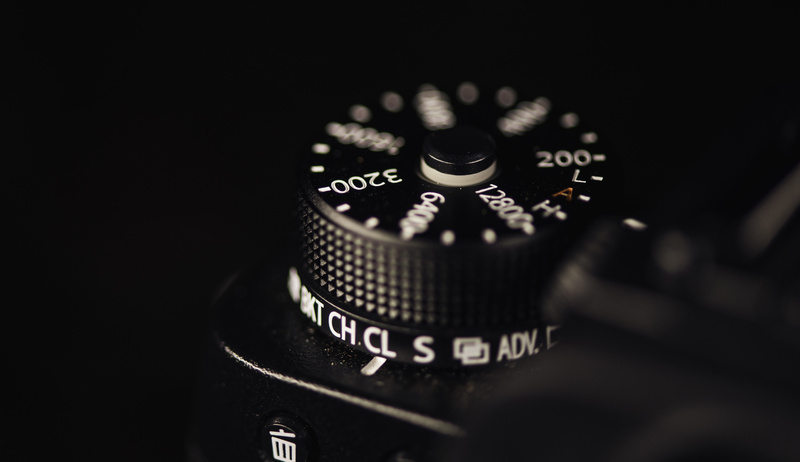 One of the new additions to the camera is a joystick that allows you to quickly move your autofocus button. Hallelujah! That was one of my biggest gripes when using previous Fujifilm cameras. My only issue with this joystick is that it isn't in the most ideal position for something that is going to be used a lot. 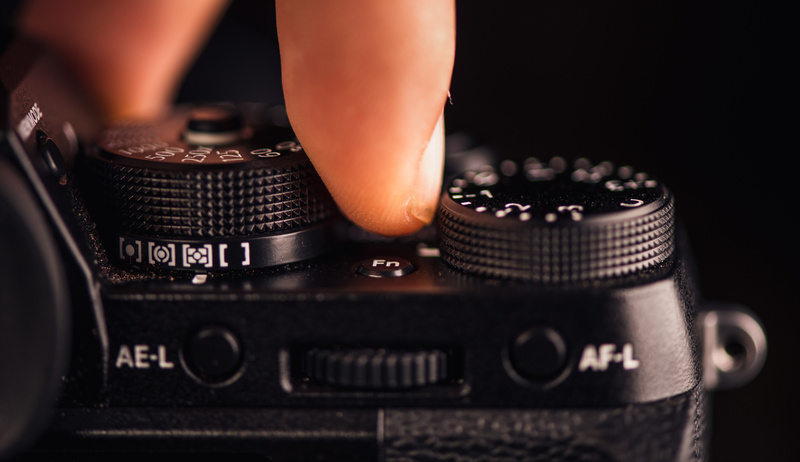 Across the back of the camera, you will also find all the other standard buttons that are found on most Fujifilm cameras. The majority of these buttons are fully customizable which means you can set buttons to perform functions you want instead of having to deal with what is preset from the manufacturer. One of the puzzling parts for me, though is that some buttons are not changeable. 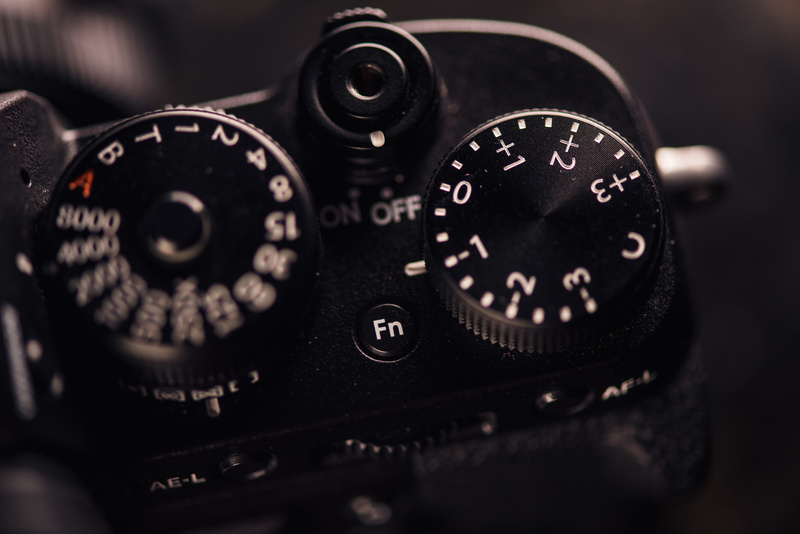 For example, Fujifilm realized that having the play button on the left side of the camera might be an inconvenience for some shooters, so they allow you to map any of the Fn buttons to be a play button. But for some reason, they don't allow you to re-map the play button? So, if you decide to map the play button to one of the Fn buttons, you would be left with two buttons that perform the same task. The same goes for the delete button. The only time you need use of the delete button is during image review, but for some reason, they don't allow you to map this button to perform a task while shooting. This is a feature found on their X70, so I was surprised not to see it on their latest and greatest camera. Fuji also made a change on top of the camera giving you the ability to lock the shutter speed and ISO dial. In the past, it was super easy to knock these dials into another setting while taking the camera in and out of a camera bag. Now there is a nice little button on the top of each dial that acts like the click of a pen. Click in and the dial is locked. Click out and you are free to move the dial to whatever setting you want. But underneath these dials are nice little levers that control the drive settings and the metering modes. The problem is that the locking mechanism only affects the dial, not the dial and the lever. So, you are still faced with the same issue of bumping these levers and changing settings. Although less common due to the smaller size of the lever, it still happened enough that I wish the lock was for the entire assembly and not just the dial. Another great change that made this camera more plausible to being a professional working camera is the addition of a dual memory card slots. 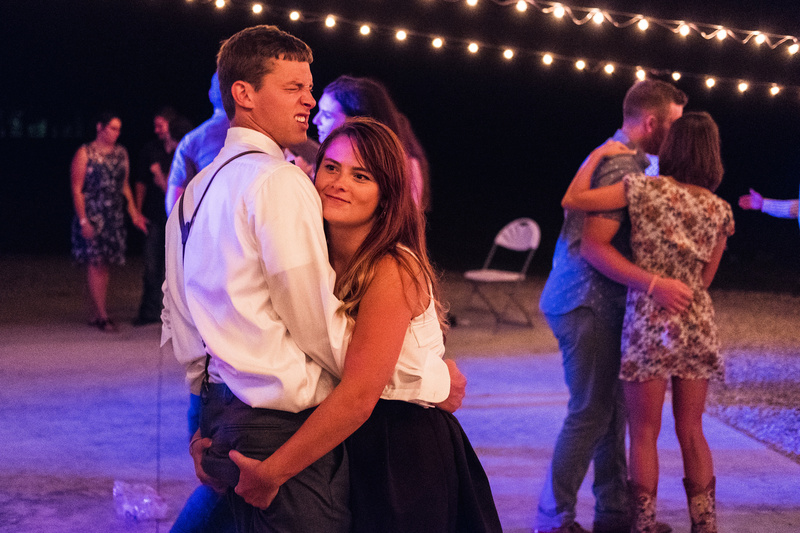 Being a wedding photographer, this has always been a required feature for me. The camera is also weather resistant, which adds a great peace of mind when combined with their set of weather resistant lenses. 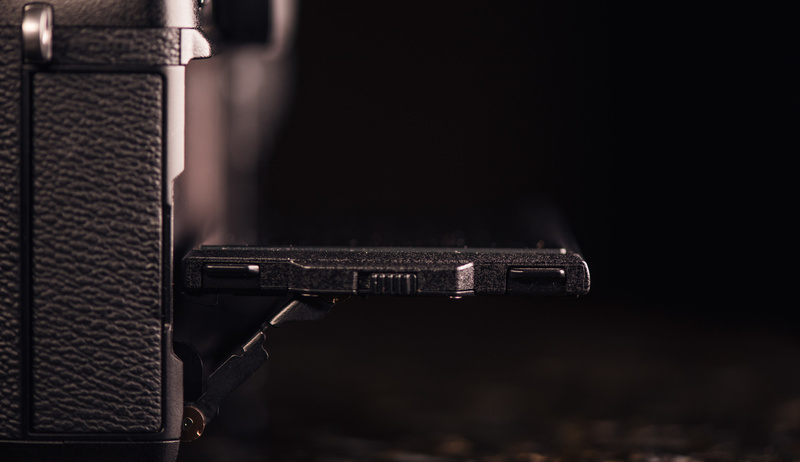 One of the biggest claims made upon release was the improved autofocus. And it’s true. This thing is fast. 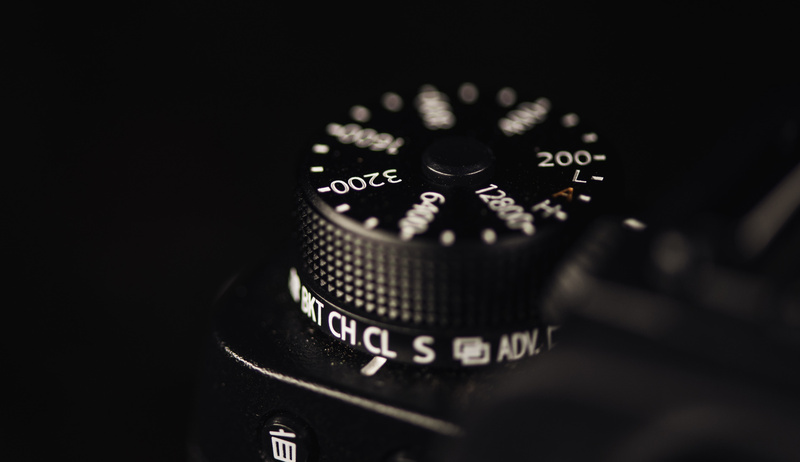 Like most systems though, the autofocus speeds are just as reliant on the lens as they are on the camera body. So while you will see an overall increase in speeds across all of the X-series lenses, you won't notice as much of gain on the 56mm f/1.2 as you will see on the 35mm f/2. But overall, I found the focus speeds to be more than adequate and never longed for faster speeds when using the AF-S setting. When reading and watching videos about the focus-tracking capabilities, I saw people saying that the X-T2 compared or even beat cameras such as the Nikon D500. Upon first attempts to test this, I found nothing of the sort. Tracking my dogs in the backyard, I would be lucky to get one image in focus. The camera has a special type of AF-C customization where you can tell it what type of motion you are tracking, and even with the camera set to level five, which is designed for erratically moving subjects that are in states of acceleration and deceleration, I was still getting inconsistent results. I tried spot, zone, and wide-tracking focus and still got nothing worth writing home about. The entire time I was testing this, I had the camera set to continuous low in the drive setting. I figured this would give the camera more time to track focus between images. But as a last ditch effort to see the results everyone was gushing about, I set the camera to continuous high, and sure enough, the results were amazing. I have no idea why the lower drive setting has worthless focus tracking, but the high drive setting is amazing, so I’ll take it. 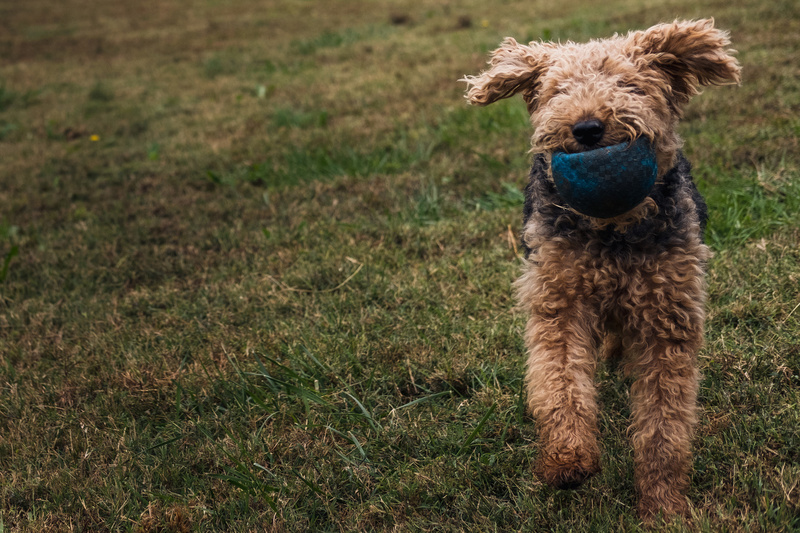 The above set of 18 images was taken as my dog was running toward me at full speed and not a single image is out of focus. Below is a crop of the last image, which should be the hardest of the set for the camera to keep in focus because the depth of field is at its shallowest. Dynamic range has always been very important to me. I even wrote an article on why I think dynamic range is more important than megapixel count and ISO. I'll constantly shoot underexposed on my Nikon D750, because I just know there will be enough details in the shadows. To test the X-T2 files, I took a base image and then increased my shutter speed by one stop for each continuing image. Then in post, I raised the exposure of each image so that it matched the exposure of my base image. I wasn't completely blown away by the results, but they were not terrible either. I found that raising my exposure to plus three was completely doable, but anything above that is where the image would fall apart. The first thing to go was the green channel. So, in instances where I need to go a little above three stops, I can always adjust the hue and saturation of the greens to get a bit more leeway. Below are some zoomed-in crops; the far left image is the X-T2 base image, followed by plus three stops. The next image is plus 4.5 stops, which I found interesting that it only needed a plus 4.5 when it was shot at -5. As a comparison, the far right is a crop from the Nikon D750 at +5 stops (now that’s what I want from dynamic range!! #armflexemoji). The Nikon file was shot at the exact same settings as the green Fuji image. While I value dynamic range more than ISO, there is still something to be had with having high-ISO capabilities. And the XT2 can hold its own. The below image is ISO 12,800, and it even had to be pushed up one stop in post. Is there noise? You bet. But for me, this image is more than usable as it is right now, and I didn't apply any noise reduction. Add to it that I was even able to push up the exposure without the file falling apart and you have a very capable low-light camera. The above information is the bulk of what I wanted to discuss in this review. But I feel some other things are worth mentioning. One of the main features of this camera is the ability to shoot 4K video internally. It actually shoots in a resolution higher than 4K and then downsamples the footage to 4K, which supposedly helps with video quality and artifacts such as moire. Another thing worth mentioning is the battery life. It’s basically the same as all the past X-series cameras. This is because it uses the exact same battery. While the battery life is not great, it’s not terrible either. I made it through an entire two-hour photoshoot without needing to change batteries, but I was also shooting two bodies. If you are already invested in the X-series cameras, you have the benefit of being able to use all of your current batteries. If this ends up being your first steps into Fuji, then buy at least four batteries if you plan to shoot all day. Although the battery life isn't great, the most frustrating part is the battery meter. This seems to be a constant struggle for Fuji. You can check your battery meter before walking out the door and see that it’s at 50%, then next thing you know, the camera is force shutting down because it’s dead, even though you hardly used it. I have basically resorted to only trusting the meter if it says 100%. If not, then I grab a spare battery. The last thing to mention is the overall image quality. Fantastic. That’s really all there is to it. The in-camera JPEGs in combination with the built-in film simulations (especially Acros and Classic Chrome) are nothing short of spectacular. While I definitely have some small frustrations with the X-T2, the majority of them are pretty nitpicky items. This is because the overall camera really is quite remarkable. The camera is fast and accurate, and it is a complete joy to use. The small form factor makes it a breeze to take with you everywhere, yet it’s fast and powerful enough to be used as a workhorse. Check out the gallery below for some more image examples from the new X-Trans III sensor and feel free to ask any questions in the comments. Get yours here. Do you think the x-t2 will be replacing your D750 full time or is it just a fun walk around camera? For my last six shoots I have gone 100% Fuji. Their lack of good flash abilities makes it so i could never ditch the Nikon kit though. I also wish the dynamic range was comparable to the Nikon. Right now I don't see it being a replacement for the D750, but its also a lot more then a fun walk around camera. yup. its the 16mm f/1.4 with the aftermarket lens hood. wish I didn't have to pay $70 for a lens hood, but it looks way better and is way smaller then the supplied peddle style lens hood. I've had the X-T2 for a few weeks and I can say this review has been pretty spot on to my own experience. 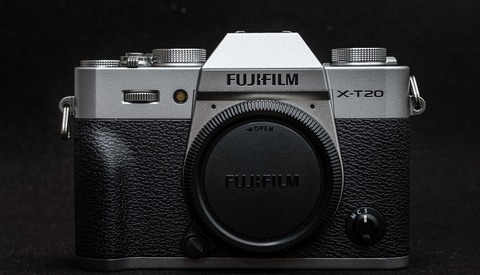 I'm a huge fan of FujiFilm's efforts in this space for "photographers" (X100T owner alongside my DSLR), and the X-T2 was the tipping point for me to let go of my Nikon gear. Given the current gen bodies and lens selection (save for some super tele zooms), Fuji has one of the most complete APS-C systems out there. Though I still thinks the best Mirror Less Cameras are made either by Olympus or Sony. never used an Olympus system, but have seen good things. I just have a hard enough time shooting a crop sensor. I don't know if i could swing a micro camera. If you're professional I totally agree. But for casual shooting, nothing beat the Micro 4/3 System for bang for the size :-). I used to love Fujifilm cameras, Till i sent my X-Pro2 for Repair due to a freezing issue i was having. After a long month filled with headaches and constantly trying to get an update from them. They sent me a camera that had a different internal serial number than the one i originally bought. and what is even worse is that they tried to cover that up by switching the bottom plate as if nothing happened. Luckily i know my camera very well and know every little tiny scratch on it. I discovered that the internal serial numbers dont match and on top of that they sent me a camera that had an older production date. Mine was 2016.03 and the one they sent back was 2015.12. Right now i am still waiting on them to tell me why this has happened, They dont seem to take it seriously though. So whoever is buying into Fujifilm, Dont expect top quality repair service. I will be sharing my story on Youtube with all the details soon. Totally lost respect for them after this. Is the new one still having the freezing issue? This would not be OK with me AT ALL. If I send *my* camera in I want *my* camera back—or a brand new one. I definitely do NOT want a Frankenbody back. This is not the type of service you typically read about from Fuji. Are you American by chance? American fujifilm has always been known to have awful service. Their Canadian and U.K. service on the other hand is impressive. is it possible they changed out a motherboard? and therefore designating a new internal serial number for the board? I am just thinking out loud, you sound pretty paranoid. So i got a call from Fujifilm Middle East & Africa Today which is where the repair happened. They told me that since the main Board was flawed and was causing the issue, They had to change the entire board along with the LCD screen. And each board has own new internal serial number. My comment would have been avoided if i was kept in the loop in the first place. Because each time i asked about the type of repair that was done i was told to call back another day to know, And this went on for a month. Thanfully a Fujifilm representstive called me up today assured me and there is nothing to worry about, And that the board and LCD were changed. The camera seems to be functioning 100% now. That's exactly what I told you. Not to say I told you so but.... All kidding aside a month is a long time. Canon professional services has pros covered with loaners during repairs because it does take time to repair things. Do you have professional loaner support from Fuji? Do they even offer this? I don't think they offer this. I need to ask them. I sent my camera in for repair and they fixed it by changing parts! I am super outraged and cannot wait to tell the internet about this. Nice review. It pretty much matches my feelings—though I feel like Fuji blew it by not including a touch screen for focus pulling with video. The joystick is an inferior solution for video. to be fair Fuji has always been about the stills. Video is an afterthought for them it seems. Ya, agree with Todd C. Fuji isn't really a camera for video. They have made some great leaps forward, but for now its still just an added bonus to a great photography camera. Thanks for the review. I am wondering if you have tried sony mirrorless system? I am tryinh to decide between getting te xt2 or sony a7ii. I am in between semi-pro and high level hobbyist. Any advice? I have played with the Sony A7 series a little bit and they seem great. I considered them when I moved from Sony A-mount to Nikon but at the time they didn't have a good enough lens selection. If i had to choose again right now i think i would still make the same decision to go Nikon though. As for Fuji of Sony A7II... that's tough. I think i would go Fuji just because of their lenses quality, selection, and price. If you have a bunch of lenses you would want to adapt, then go Sony. Or if you want video functions then go Sony as well. I switched from Sony to Fuji. I used Sony for 8 years, both a and e mount. If you are going to go with APS-C, no one beats Fuji for one very simple reason: Every lens is designed as a full frame equivalent. I could transition quite easily from full frame Sony. The only issue I had with Sony is that when I started with e mount, it was the best budget full frame system. A7, 55/1.8, and 24-70/4 were all I needed natively. I got the a7 on a deal for something ridiculous like $1190. It was a fabulous system. Menus made sense, because it was just how the Minolta 7D was set up. I upgraded to the a7II. Great body. However, I wanted the 24-70/2.8 and 85/1.4. As a part time pro, I cannot even begin to justify $4k in lenses. I have always been a big Minolta guy, but the af points and eye detect AF are not available on the LA-EA4. In the end, the Fuji lenses come in at the right price point. Moreover, I suspect the XT2 will be the first body I use for 4 years, thanks to their policy of meaningful firmware updates. However, the a99II looks amazing. Working Sony pros who have a mix of e and a mount glass really need to look at the a99II. If Sony get serious about a mount again (they have updated 5-6 lenses in the last three years) and introduce some new and compelling options, I may just go back to a mount. 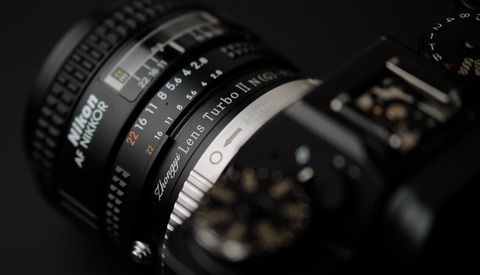 Minolta had a look to their lens design I just love. With some lenses, it is very close to Leica. Love it. I've made the switch. Sold my Canon gear (5d3 + lenses) and gone full Fuji. Love it so far, the AF is superb, high iso also great. Love the handling, size and lack of weight. Post processing is a little different in regards to sharpening but apart from that very happy. Also paired with the Cactus V6 II flash triggers I can sync all my speedlights and Elinchrom Quadra's at full 1/8000 ! I definitely need a feasible and reliable flash system for the fuji. Checkout the Cactus V6II triggers, they're cross platform and so far work very well.